In 1954, Richard and Sheila Attenborough paid their first visit to the Madoura pottery in Vallauris in the south of France, where Picasso had been working for several years with Georges and Suzanne Raimé. They made some modest purchases, forging the beginning of a collection that eventually numbered some 150 pieces. All of Picasso’s activity with ceramics centred around the madoura pottery factory where he worked on plates, jugs and tiles, often combining aspects of painting and sculpture in their decoration. A large part of the collection first went on display in 2007 and received outstanding reviews. Lord Attenborough said: “We were both amazed and thrilled that in 2007 over 80, 000 people visited the exhibition of the ceramics which we have acquired over 50 years. We are now delighted that this permanent gallery will once again enable people to enjoy this part of our collection which has been specially selected for this exhibition. 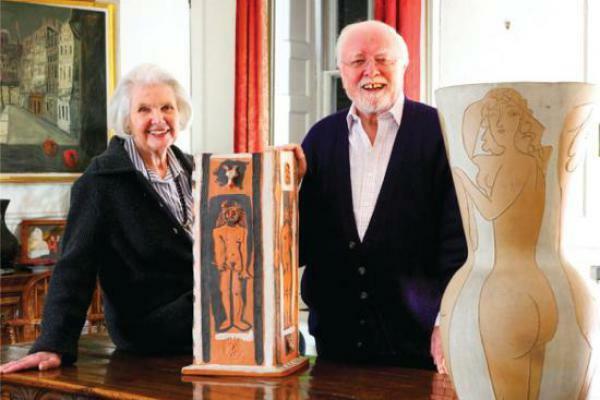 In 2007, Lord and Lady Attenborough announced that their Picasso ceramics collection would be entrusted to the City of Leicester to cemmemorate the lives of their daughter, Jane Mary, and their granddaughter, Lucy Elizabeth, who perished together in the Asian Tsunami on 26th December 2004.